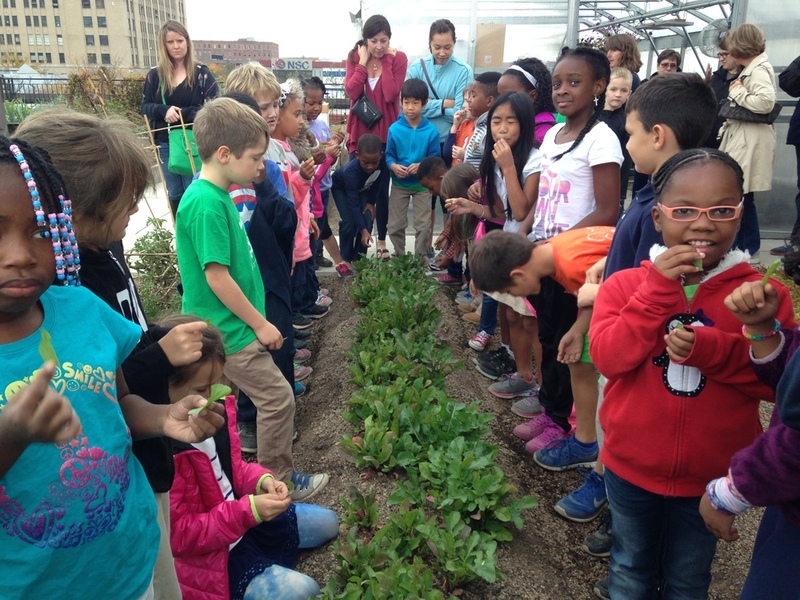 We'd love to show you around the FOOD ROOF Farm and give you a glimpse into rooftop farming in downtown St. Louis! Schedule a group tour or field trip below. Group tours and field trips last up to 60 minutes, which includes ample time for questions. We will share a brief overview of Urban Harvest STL and the history of the FOOD ROOF Farm, followed by a farm walk with in-depth explanations of each component of the farm, from hydroponic towers to the agricultural green roof system to chickens to an edible wall. Please note that the rooftop is only accessible by two flights of stairs - once you make the short climb to the roof, you will not be disappointed. We look forward to welcoming you to the farm! If you are interested in scheduling a group tour or field trip, please complete the form below.